Kim, our amazing office manager in Minnesota, always shares your feedback and the great memories you’ve created during your time with us! To help others in their search for the trip of a lifetime, we like to share some of those stories. The majority of our business is generated from client endorsements, so your opinion is very important to us! Here is one from a father who brought his 4-year-old son on a cruise through the inside passage. 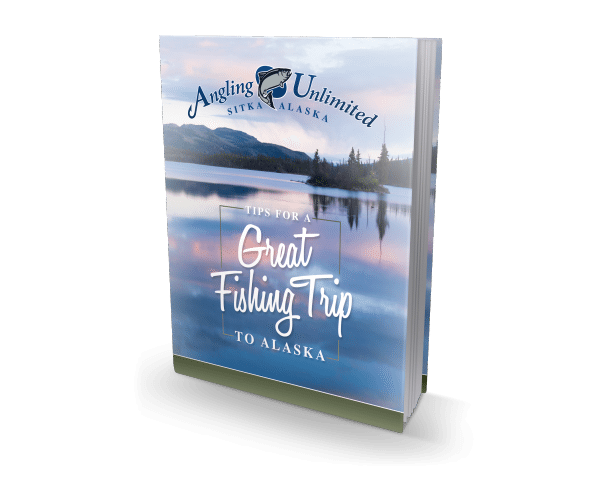 During their stop in Sitka, they decided to spend a few hours on an Alaskan wildlife adventure with Angling Unlimited. Chas wanted to take a vacation with his son, Tiger. His son loves animals, Disney, and the outdoors. So, Chas knew the ideal vacation would be a Disney cruise in Alaska! As fortune would have it, Sitka was one of the stops on their cruise. After some research, Chas discovered that Sitka is the perfect place to witness wildlife including bears, whales, eagles, and otters, as well as catch salmon, halibut, and other fish in close proximity to town. With his mind set on getting on the water in Sitka, he only needed to find an outfit to meet his needs. After a brief online search, he found Angling Unlimited. He and Tiger viewed our Customer Experience video and were intrigued. They instantly called the Sitka office where Andrew and Aleta reiterated everything they had just seen. They were sold. A few weeks later, Chas and Tiger arrived in Sitka. They finally got to meet everyone in-person they saw in the video. Chas admitted that Tiger watched the video over and over again in anticipation for their trip. 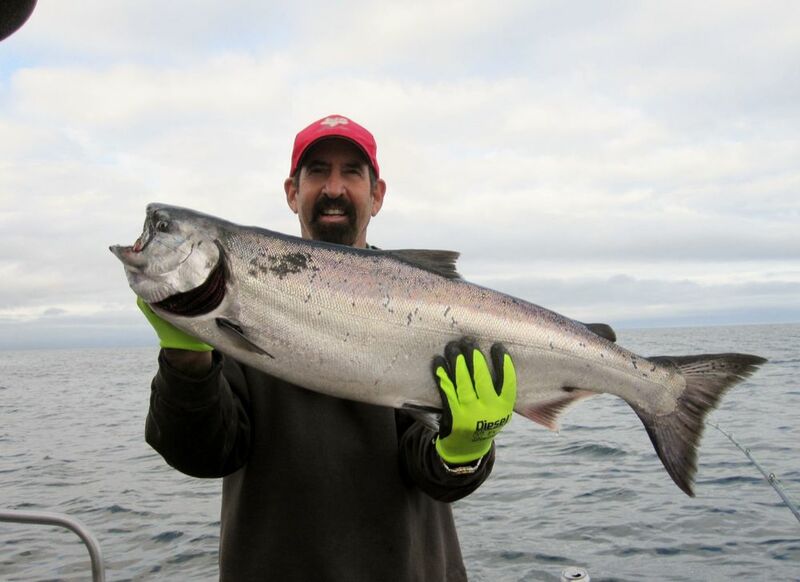 The two ventured to nearby calm, fishable waters with Captain James, where they caught salmon, rockfish, and halibut. Chas was pleasantly surprised that after seeing all the fish being caught, Tiger wanted a turn to reel some in. They also saw otters and birds, which was Tiger’s favorite part. It was a memorable outing that Chas says was the highlight of their whole trip! “We briefly met both owners, Captain Chuck on the way out and Captain Tom as we returned. Very real, kind, and genuinely interested in our visit. Everyone else we came in contact with reflected the characteristics of Captain Chuck and Captain Tom. From the awesome captain of our boat, to his genuine ship mates, to Kim, Aleta, and Andrew who took my initial call and completely sold me on your company and kicked off my reservations, you are all rock stars in my book. As my only son grows older, I hope to repeat this trip with him to Alaska and Angling Unlimited. Our visit was overwhelming gratifying. Please thank everyone in your company and remind the two wonderful owners of your company what a great job they have done in amassing such an amazing group of people at Angling Unlimited. I must have watched the video you have on your website 20 times (with Tiger) before we got there. Looking back now, your video truly does describe what a fantastic group of people make up Angling Unlimited, and the personal attention to detail we received from the moment we arrived until the moment your team dropped my son and I off at our next stop in Sitka. Top shelf people and experience all the way! We will never forget this experience and I proudly still have some of the king salmon caught in my freezer today. My family shared in feasting on the king salmon on special occasions and describe it as a flavor of salmon they have never tasted before. I could not agree with them more. I hope to see you all again next year. You all are the best! Thanks again for an incredible experience from start to finish. To read other stories from our clients, visit our testimonial page.